During a ten minute drive west from Ajijic, you will pass the communities of La Canacinta, La Cristina, Los Charales before arriving at the village of San Juan Cosala. Above the village is the Racquet Club, which features homes with terrific panoramic views and a tennis club. The club features a pool, Jacuzzi, sauna, six to eight tennis courts and a clubhouse. In the village of San Juan Cosala are found renowned spas with thermal mineral waters. These spas are a popular mid-week getaway for local residents who enjoy the relaxing and medicinal qualities of the hot mineral waters. San Juan Cosala offers you the opportunity to immerse yourself in the Mexican culture and learn the language living amongst the locals. This clean and vibrant little town is undergoing improvements and enjoying the influx of visitors to their new malecon (boardwalk).—a half kilometer of panoramic views. Situated approx. 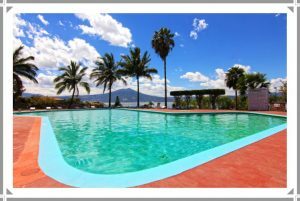 15 minutes west of Ajijic, along the newly paved & widened Carretera-Chapala highway that runs along the north shore of Lake Chapala, is San Juan Cosola. Here you will find the Balneario or thermal baths. The 3-part complex offers natural thermal water in various pools, 3 hotels and a restaurant. Part one is the largest area and excellent for families. It features 3 pools one with a water slide, poolside tables and snack bars. The Balneario’s 2nd part has the restaurant and several pools nestled in the garden and patio area. The 3rd part is devoted to a large block of hotel rooms. 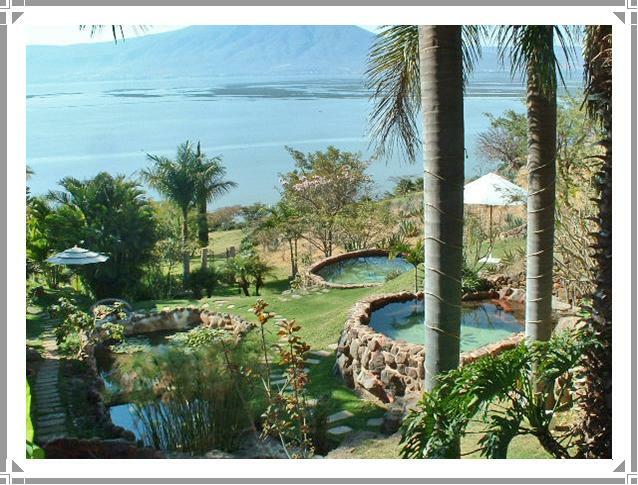 The Raquet Club is situated on the mountain side above San Juan Cosala’s thermal baths, just 12 minutes from Ajijic. This community consists of 432 lots which sweep upwards along wide, picturesque streets. Of course, the higher the street, the more panoramic the views of lake and mountains. Also on the east end of Rafeal Osuna, is another amazing boutique hotel, spa, and fusion cuisine restaurant, La Vita Bella. Enjoy beautifully landscaped grounds, private thermal water pools and unfettered breathtaking views.